This story begins nearly four billion years ago, when the Earth was just another rock in just another solar system. In a pool of sludge on that rock, something astonishing happened. A long stringy molecule found a way to copy itself. Similar molecules would later carry the code that would enable life forms to grow, digest, run, breathe, read, launch rockets to the Moon. But for now, that molecule only knew how to do a single, important thing – to reproduce. This was the moment that life emerged. Since then, as each living organism has multiplied, the codes of life have altered by the tiniest increments generation after generation, stretching across time. Most of these mutations have had little impact. Very, very occasionally, they have been extraordinarily useful. The sum of millions of minuscule modifications over billions of generations has given some organisms the ability to survive in water, land, ice or the desert. They have helped them to beat disease, to be stronger, faster, fly. Across the aeons of biological time, this process has led one particular organism – us – to grow large brains, develop opposable thumbs and communicate complex ideas. We’ve mastered fire, tools, technology. In the great span of evolution, this transformation happened a mere split second ago. Degree by degree we continue to change. Six years ago a group of those highly evolved organisms worked out how to shrink evolutionary time. Scientists in laboratories on either side of the Atlantic discovered a way to manipulate the blind stumblings of random mutations. Through meticulous trial after trial and not a little fortune, they found a way to edit the code of life – to tweak the information that makes our eyes blue, muscles strong or IQs high. Humans had advanced so far that we were finally able to control our own evolution. Jennifer Doudna, one of those scientists, was not the first to edit genes or genetically modify an organism. But the tool that her team discovered made a previously painstaking and expensive process simpler and usable by almost anyone. Entire PhDs were once spent changing a single gene to make one mutant mouse for research. The eureka moment came in 2012. Doudna remembers the instant when she realised what she had found. She was in her office high above San Francisco bay and her postgraduate student, Martin Jinek, was at the whiteboard. “It was a beautiful California day. I was looking across and seeing the Golden Gate Bridge,” says Doudna, gesturing towards the window: “The sun was streaming in, Martin was writing at the whiteboard.” Stroke by stroke he began sketching a simplified version of a previously obscure molecular mechanism that bacteria use to fight infection. The device had an ungainly name, CRISPR-Cas9. But realisation now dawned that its function was supremely elegant: it chopped up the DNA of invading viruses. What made that discovery important was that the tool could also be programmed to cut up DNA of any kind. Doudna’s team had worked out how to edit the genome of every living thing – even humans. Sitting beside that same whiteboard now she finds it hard to convey the magnitude of that instant – she talks of chills going down her neck, of thinking “this is cool” – as it dawned on her that this could transform not only the lives of the scientists who uncovered it, but all of our lives. Rarely, if ever, has a scientific tool spread as fast as the one they drew that day. It took a millennium for the mathematical concept of zero to be fully accepted in Europe. 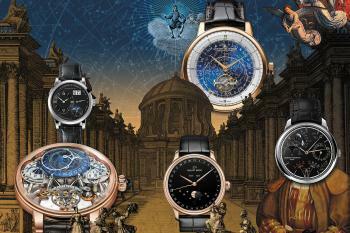 It took centuries for the first rudimentary microscopes to develop into something scientifically useful. Even the computer took decades to become a mainstay of offices and homes. 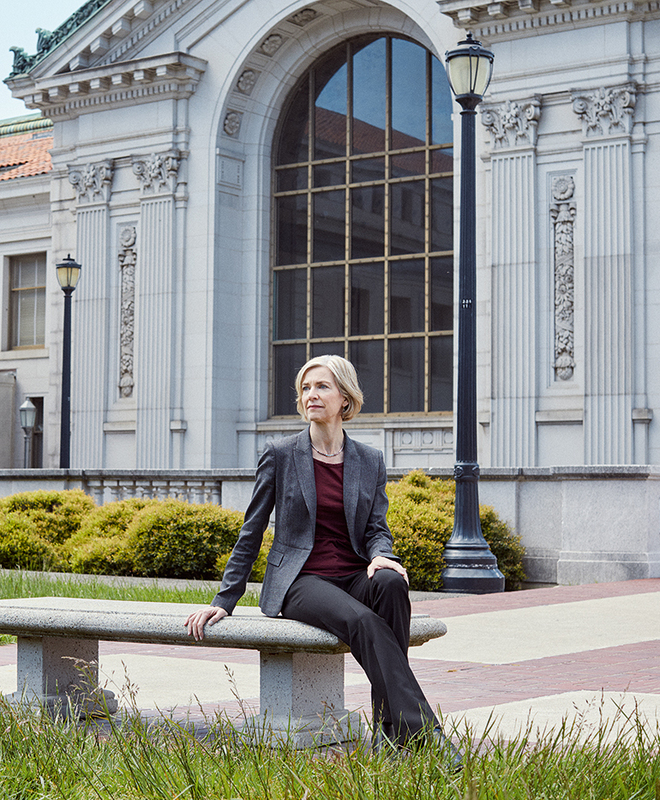 In just over five years, the new gene-editing mechanism that Doudna and her colleagues found has attained ubiquity in life-science laboratories. Other means of editing DNA already existed, but CRISPR was better and faster. Yet the speed of CRISPR’s dissemination represents a threat as well as a breakthrough. 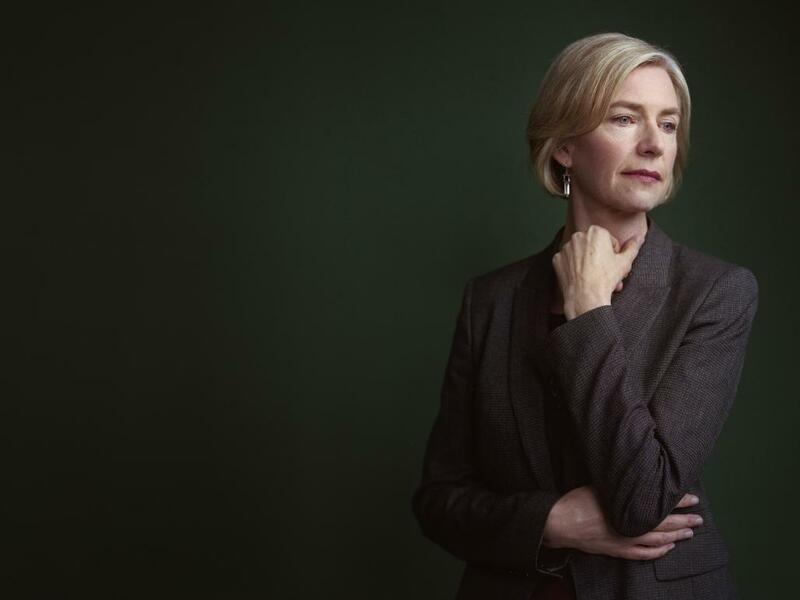 Anxious about the lack of control, Doudna convened a conference of 500 ethicists, scientists and lawyers in 2015 to consider all the apparently fantastical futures ushered in by the ability to tinker with the code of life. She wanted to set out rules and protocols before the technology was applied to humans. Doudna was in for a shock. “One attendee [at the conference] pulled me aside and said three manuscripts had been submitted to journals involving experiments on human embryos. He said, ‘You should know this is happening.’” The labs in China had destroyed the embryos they had developed, and the modification had been only partial. Far sooner than predicted, a threshold had been crossed. That moment in Doudna’s office came 60 years after James Watson and Francis Crick interrupted lunchtime at the Eagle pub in Cambridge with the words “We’ve discovered the meaning of life.” It was only slight hyperbole. They had revealed the structure of DNA, the alphabet in which the code of life was written. That achievement was monumental. It was also, on its own, useless. Though they knew the letters, they didn’t know what they meant. They couldn’t read the code; they couldn’t write it. Over subsequent decades genetics researchers have slowly built a DNA dictionary to explain what individual strings of code mean. First in bacteria, then in worms and eventually, in 2003, in humans, we have read full genomes and started piecing together the functions of DNA, the code that builds bodies, keeps them running and occasionally makes them fail. That achievement, too, has been monumental. But even when we can determine the exact mutation that led to a genetic disease, we can’t do anything about it. The search for a means to rewrite that code became the most pressing quest in genetics research. Although no one realised it at the time, that journey was already under way. In 1987, almost unnoticed, a scientist in Japan spotted an oddity in the genome of a bacterium found in the human gut: a repeating sequence of genetic code, roughly palindromic, in the bacterium’s DNA. If you read along it, this code would appear in one section, then there would be an incomprehensible sequence of code, then it would appear again, and so on. The oddity was noted and the world moved on. The planet is not short of oddities. Six years later a Spanish researcher spotted the same repeating structure in a microscopic organism from a different part of the living world. Since the common evolutionary ancestor of these two organisms came hundreds of millions of years earlier, it seemed significant that both had this structure. The oddity was upgraded to a curiosity. For 20 years, that was where it remained. The sequence gained its awkward name: Clustered Regularly Interspersed Palindromic Repeats, or CRISPR (pronounced “crisper”). Slowly, we learned more about it. The first breakthrough in establishing the importance of CRISPR came when scientists identified the code that lies between the repeats. It turned out that these sequences appeared elsewhere too: in the genetic code of viruses that had attacked these microbes. Evolution doesn’t create such unlikely coincidences without a purpose. There was a logical conclusion: microbes were storing the viral code to defend themselves against the viruses. CRISPR seemed to be not just a code but a tool, that both held crucial intelligence on bacteria’s viral enemies and used this intelligence to defeat them. That was when the curiosity became a business proposition – bacteria can be worth a lot of money. So the funding for the next step came from one of the world’s most famous bacteria farmers: Danone, a dairy company that boasts of the good bacteria in its products, and which every year lost cash, cheese and yogurt to viruses that attacked its bacteria. Two research scientists at Danone began investigating how to use the matching parts of code found on bacteria and viruses to protect the good bacteria they wanted to foster. They found that a small proportion of bacteria were able to capture and store the DNA of invading viruses in their own genomes so that, when they were attacked again, they were essentially immune. Even more excitingly, when those resistant bacteria reproduced, the new bacteria were also protected. So the change wasn’t just a one-off sticking plaster that helped individual bacteria to survive: the immunity they acquired was genetic, and could be passed on to their offspring too. Suddenly people realised that CRISPR might do more than make yogurt cheaper. Separately, in different labs across the world, groups of scientists started to think about whether this tool could be used to manipulate DNA of all kinds. The race to harness its powers began. That was when Doudna joined the story. Many other scientists interested in CRISPR were experts on DNA – the genetic code in every cell. Doudna’s specialism was RNA, which helps DNA translate that code into something usable. Seeing the structure of RNA is hard. Imagine if all you knew about the Eiffel tower came from its shadow at different times of day. Then imagine forming an image of it using just that information, with every strut and platform in place. 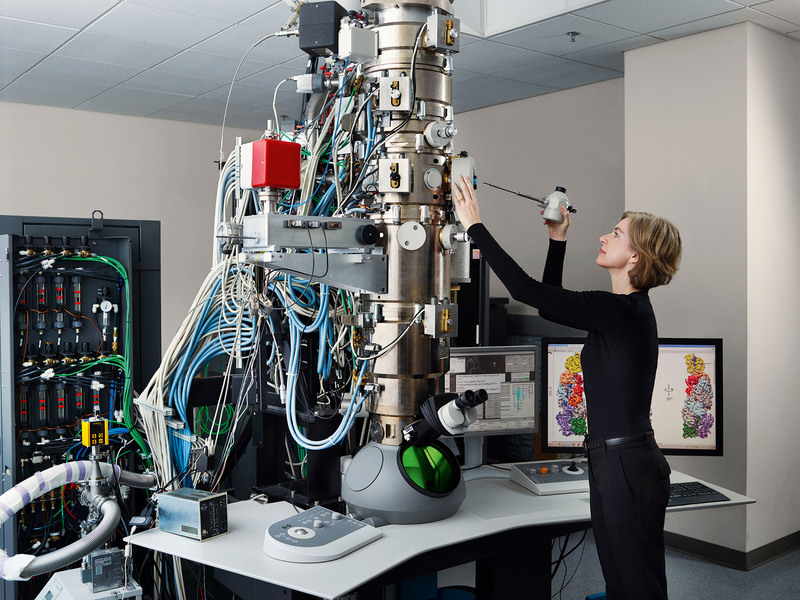 This type of work has been Doudna life’s pursuit: trying to construct a model of molecules from scatterings left by x-rays or the products left behind as they break down. Dounda would probably have continued happily on her academic path of quiet distinction were it not for a telephone call one afternoon in 2006 from across the campus at the University of California, Berkeley. Jill Banfield was unusual among CRISPR scientists because she wasn’t interested in its application to humans. She wanted to understand what microbes do with it: for over a decade she has been searching for it in organisms in extreme environments underground, in the heat of geysers, even in slurry ponds at a dairy farm. Banfield needed an expert on RNA, so she began looking on the university intranet for resident RNA experts: “I saw Jennifer’s name, and contacted her.” That phone call marked the first time Doudna had ever heard of CRISPR (later she admitted that she thought it was spelt “crisper”). By this stage, laboratories around the world were trying to uncover how CRISPR could be used to edit a gene. In Lithuania, Virginijus Siksnys was one of the acknowledged leaders. His laboratory had treated CRISPR like an app, showing how its DNA sequence could be taken from one bacteria and “installed” in another, where it worked perfectly to protect the organism. In the race to discover how to use CRISPR to alter the genome, his laboratory and Doudna’s would eventually come near to a dead heat. “Race” is not quite the right word, though: at this point neither knew for certain where the finish line was. 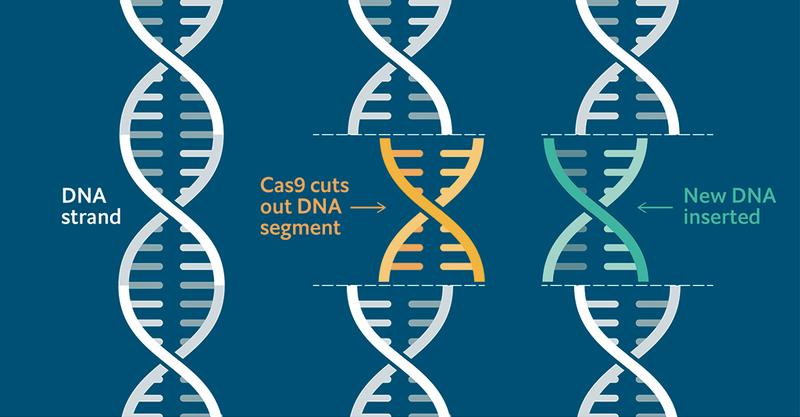 The first step in determining what CRISPR could do was to break it down into its components, to see what role each part of the CRISPR code played. All DNA works by making proteins; CRISPR is no different. Understanding the function of each protein was the key to developing CRISPR into a deployable device. By generating those same proteins in bulk in the lab, scientists could start experimenting to see what they did. CRISPR programmes a number of mechanisms, each named after the protein involved: Cas1, Cas2, Cas3, and so on. Slowly, Doudna’s laboratory went through each one to determine its function. Once again luck (and the backing of a wealthy institution) propelled Doudna to the next milestone. In 2011, at a conference in Puerto Rico, Doudna met Emmanuelle Charpentier, a French scientist who was looking at a CRISPR protein called Cas9 that Doudna hadn’t yet considered. Charpentier needed a biologist to look at its structure. Charpentier approached two colleagues in Vienna. “One did not have enough manpower, the other not enough money,” says Charpentier. “Life is sometimes unfair.” She recently spoke to one of the scientists who turned her down. “He still thinks of this. He was very much affected.” As well he might be: he works in relative obscurity; Doudna and Charpentier are superstars. Doudna’s lab had both people and dollars. Over the next year, separated by a continent, Doudna and Charpentier worked on cracking CRISPR’s codes. Their collaboration was professionally rather than personally close. Charpentier’s lab cultured and analysed bacteria to identify the genetic data that made up Cas9 and its function, and shipped that to America. Doudna’s team found a way to manufacture the protein in bulk, using genetically modified bacteria to pump it out and then separate it from the soup of other proteins. Their goal was to surmise how Cas9 cut up the DNA of invading viruses, and if it could be trained to do the same to any length of any DNA they chose – to edit any genome. Some experiments to test Cas9 were disarmingly simple. “It’s a bit like cooking,” says Doudna. In one they took a few drops of a liquid containing the Cas9 protein, mixed it with a few drops of another liquid that included a protein that helped the molecular mechanism find its target, and added in some DNA to see the effect. Then they heated it up. During the heating process they would periodically take out samples to see if the DNA was changing size or being cut – Doudna moves her hands apart, like a fisherman describing a catch. More often than not, it was. The CRISPR system had gone in and snipped precisely the right section. That was the outcome they were after. Slowly, a picture of the Cas9 system emerged. In Doudna’s office today in Berkeley she has a model of it made out of 3D-printed plastic, the result of those final experiments that uncovered its structure. It sits on a table beside a Japanese katana sword, one of many gifts Doudna has since received on her travels. The model of the Cas9 targeting system looks like a Gordian knot of twisted molecules. She slowly pulls it apart with the patience of a teacher – she still has undergraduate students – demonstrating the section that locates the target DNA and the cleaver that chops it up. It is that cleaver, Cas9, that is important. A katana of the genome, it carefully slices both sides of the target DNA, breaking the strand. Since DNA is good at repairing itself, the two loose ends of DNA can tie themselves back together, but without the lost code the virus is neutralised. That offered the possibility of a further leap: rather than merely remove part of the DNA, it might be possible to replace it with another strand. Then the DNA should still be able to stitch itself up again. To achieve that would be one miniscule change for a genome – and one giant step for genetics. No wonder Doudna smiles so widely as she remembers the day when a year of experiments suddenly made sense. Scientists sometimes complain that society still believes in the idea of the lone genius whose insight allowed him (it’s normally a man) to see further – even if modesty dictates that he says he did so by standing on the shoulders of giants. In this narrative, you forget about the other people in the laboratory, other teams developing the science or working in parallel. No one ever asks a whole laboratory to give a keynote address. TED talks are not delivered by committee. Doudna is meticulous about attributing credit. There were six authors on the breakthrough paper. She notes that her postgraduate students did much of the lab work. Hundreds developed the field to enable the final discovery. Like the 15 members of the 1953 Everest expedition, all had parts to play. We already know, too, that Doudna’s involvement was not once but twice a matter of chance and money. Yet Charpentier and Doudna are the ones who finally got to the top, the Hillary and Tenzing of CRISPR. They are the ones who get the plaudits, the international speaking engagements, and the prizes. When the Nobel committee gets around to awarding for CRISPR, as it surely will in time, it will only ever be able to honour three people at most. Two places are taken. The others will forever be at the Everest base camp of science, watching their colleagues disappear into the clouds. What, though, if when Hillary and Tenzing had arrived at the summit to find that someone had already reached it but hadn’t got the message home yet? That type of luck is more awkward. Just before Doudna and Charpentier realised how Cas9 could be used to edit the genome, scientists in Siksnys’s Lithuanian laboratory had also uncovered its potential. They outlined their findings, going only slightly less far in developing their thoughts on the Cas9 system, in a similar paper submitted two months before Doudna and Charpentier. But thanks to the vagaries of the publication process it ended up in print two months after theirs. The Lithuanians worked out the science first – but Doudna and Charpentier broke the story. When pressed, Doudna accepts that the Lithuanians have reason to feel hard done by. “Of course, we all have regrets in science. You know, let’s be honest, there’s a serendipity in science,” she says. “In some senses we were in the right place at the right time.” These days science is a human pyramid of giants, with dozens scrambling to reach the top, sometimes stepping over each other on the way. Most accolades have so far been given to Doudna and Charpentier, not the Lithuanians. But in their rush to place the final jigsaw piece of CRISPR’s genetic editing and broadcast it, Doudna and Charpentier forgot something important. In late 2012, an American scientist called Feng Zhang, from MIT and Harvard’s Broad Institute, paid $70 to the US patent office to expedite his claim for ownership of the use of CRISPR in mammalian cells. Doudna’s and Charpentier’s luck had run out. The US patent system, with processes even more opaque than those of academic publishers, was faced with two patents for CRISPR. One came from their laboratories. Their seminal paper had shown that CRISPR was a programmable system that could be used to edit DNA in a lab. But it hadn’t shown that it could do so in animal and plant cells too. Many, including Doudna and Charpentier, thought that was implicit. This was where Zhang’s patent came in. By doing experiments to make explicit the broad implications of CRISPR-Cas9, Zhang reckoned he had gone further. He paid to expedite a patent that claimed as much. Doudna looks down and becomes quieter as we move to discussing Zhang. The commercial ownership of CRISPR is currently less clear even than the scientific credit. “People should be saying, ‘This is a really exciting time, an exciting moment in science,’” she says. “Let’s focus on that, rather than bad behaviour.” This is clearly the point at which her magnanimity to her fellow CRISPR scientists runs out. The ruling matters partly because it will answer who gets the credit for the CRISPR breakthrough. But it is important for another reason – one that explains why the respective universities are spending millions of dollars on lawyers. Whichever institution is deemed to be the originator of the idea stands to make billions of dollars from it. Gene editing by CRISPR will change some people’s world more than others. Doudna has the sort of bone structure that you would edit your own genome to produce. She is calm, elegant. Yet she wears her rock-star status awkwardly. She is reserved; she speaks in tones as muted as her clothes. Her TED talk in 2015 had the air of someone facing a slightly difficult tenure committee, rather than conveying the drama of her breakthrough. Society asks a lot of our modern heroes. We demand not just that they are brilliant in their own field, but glamorous, charismatic and articulate. We make them celebrities. Doudna’s schedule is now so busy she divides her days into 15-minute chunks. She has her own PR team. She crosses the world to speak of a lab in which she now spends little time. 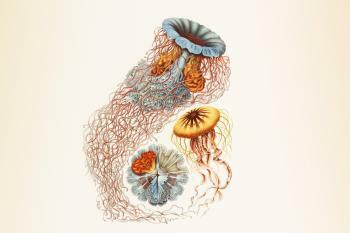 It is an odd life for someone who became a biologist partly to hide from the world. Doudna grew up in Hawaii, a volcano surrounded by the sea. Her family moved there for her father’s work when she was seven: he got a job at the university after completing an English literature PhD late in life. Doudna “felt like a freak” in Hawaii, she says. Tall, blonde and blue-eyed, she was a “pretty extreme ethnic minority” and in the early 1970s, “there was a lot of discrimination. I just looked different. I was a foot taller, I had a big nose compared to Asians, I had hairy arms.” She says strangers would scream at her in the street. “It was a real contrast to the way we were taught science, with a big textbook where you are told ‘Read chapter 3, memorise a bunch of facts.’ There was no sense of how did we get there, why is this important, why do you need to know this? In Watson’s book that came alive for me and I could suddenly imagine myself engaging with other people. That was the first time I thought, ‘Gee, could I spend my life figuring things out?’ It all seemed so exotic.” She applied to Pomona College in Claremont, southern California, and entered a new world. The CRISPR gene-editing process wasn’t – and still isn’t – perfect. Sometimes it misses, chopping up the wrong piece of DNA. Sometimes it doesn’t cut everything it should. But as a laboratory tool it is already astonishing. And it is improving all the time. On the same day I see Doudna, a paper was published on using CRISPR to improve cancer immunotherapy, and another from a different group that used it to tease out the causes of motor-neurone disease. A few days before we meet, a scientist causes a minor sensation in the brewing world by developing hopless CRISPR craft beer, modifying yeast to produce the oils made by hops. When I ask Doudna if she has tasted it, she looks confused. She wasn’t even aware of the research, done a mile from her own laboratory. These days, anyone can order the tools Doudna and Charpentier designed online. An American company called Odin (slogan: “biohack the planet”) will send you a diy gene-engineering kit for just $159 to edit the genetic code of a non-harmful strand of E.coli bacteria, complete with a phial of the targeting system, another with the Cas9 protein to cut, some agar to grow the bacteria on and petri dishes, test tubes, pipettes, blue rubber gloves. If you start on a Friday night, you can complete your domestic bio-engineering by the end of the weekend. Success will not be a transformative experience, however – if you do everything right, colonies of bacteria form white or yellow spots on your petri dish (this shows that it was able to multiply, or rather that you edited out the molecule that would have prevented it reproducing). CRISPR has become almost as essential to laboratories as the pipette, yet it has barely touched on the consciousness of governments or the public. The technology has advanced far ahead of discussion about its implications, let alone regulation of them. When we meet, Doudna is reading “The Making of the Atomic Bomb” (1986), a book about Robert Oppenheimer who ran the project that developed the bomb. “I’m at the part of the book where Einstein is writing letters to the US president, trying to get an introduction to him,” she says, and then adds, with the slightest hint of a raised eyebrow: “The scientists working on nuclear energy had the realisation that what they were doing was incredibly powerful and yet at the time nobody in the highest levels of government was aware what was coming.” She doesn’t need to labour the parallels, or the differences. Unlike the atomic bomb, which still requires the investment and resources of a government, CRISPR is easy and democratic. All you need is a supply of Cas9 and an online tutorial. Doudna’s first intimation of the CRISPR mushroom cloud on the horizon came in 2014. “I was sitting at the desk typing and my phone rang. It was a journalist, wanting an opinion about an article about to be reported in a scientific journal, reporting CRISPR in modified monkeys. That was the turning point.” She pauses to make sure I’ve understood the significance: in traditional medical experimentation there is only one species you move onto once you have tested monkeys. Us. In the next five to ten years, CRISPR plants will almost certainly reach supermarkets. Soon after we will probably see CRISPR people in our hospitals – treatments that use CRISPR to correct genetic conditions in adults such as sickle-cell disease or inherited blindness. The Francis Crick Institute in London is conducting its own experiments on creating fully edited human embryos, though as its goal is scientific discovery not designer babies, it destroys the embryos. Eventually, a CRISPR baby will be born. The technology is too easy. There is no world government to stop its use; many argue no one should do so anyway. At the point that baby emerges, perhaps modified to evade a particular disease or perhaps even to look a particular way, theoretical debates will become real. Doudna knows the influence she and her fellow scientists have is diminishing every day. “I would hope this would be used to create cures, to help people,” she says. Even if the technology is not quite there yet, CRISPR could eventually do plenty else besides. Every week a new paper is published finding more genes that influence looks, intelligence, stamina, even sexuality. The battle is still on for the final credit for CRISPR. But like similar disputes in the past – Newton versus Leibniz, Edison versus Swan – it is as bitter as it is irrelevant. When the final history is told, the use CRISPR is put to will be far more important. And that chapter is just beginning.